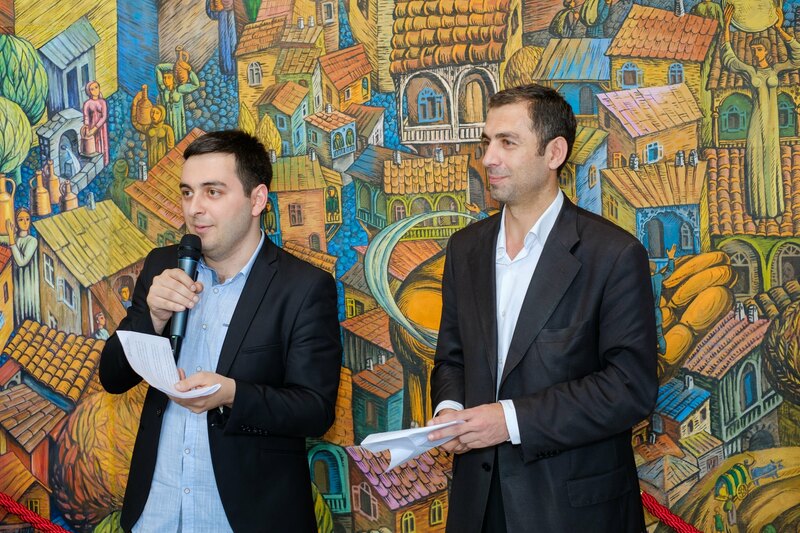 Every year, the Eastern European Centre for Multiparty Democracy (EECMD) celebrates as it announces a fresh cohort of graduates from the Democracy Schools they run across the four regions of Georgia in partnership with NIMD. With this, they also announce their Democracy leader for that year – graduates who showed exceptional leadership in promoting democratic values and the rule of law. 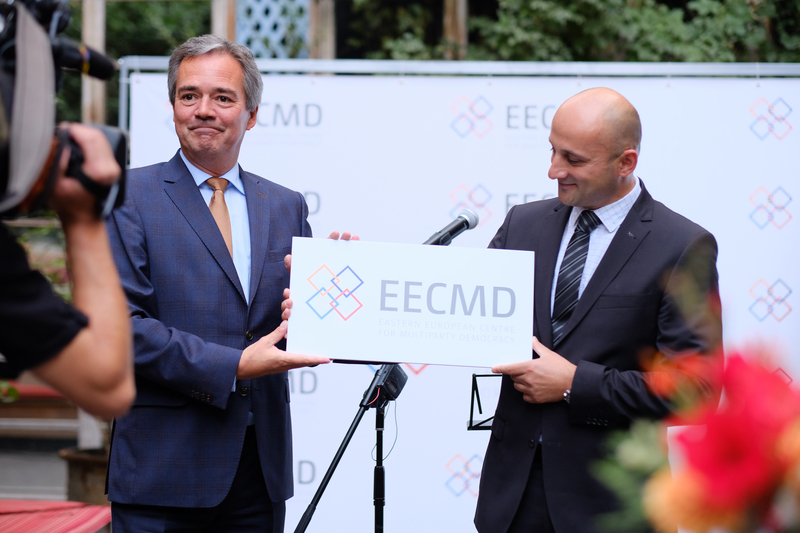 EECMD is NIMD’s partner organisation in Eastern Europe. This year’s Democracy Leader is Archil Mchedlishvili from Georgia, a long-time civic activist and journalist. After embracing pluralism and dialogue during Democracy School, Archil decided to become more engaged in his city’s political process. In protest at the government’s decision to end the self-governing status of Telavi city, Archil was co-responsible for presenting a sheep (yes, an actual sheep) as a candidate for the mayoralty. In a remarkable display of public discontent, many voters spoiled their ballot papers by writing in ‘sheep’ below the official list of candidates. Whether one agrees with Archil’s views or not, participation through peaceful protest is an essential way of bringing lawmakers closer to those who elect them. These actions led Archil to leave his public servant role and become a journalist at ‘Main News in Kakheti’, a publication that advocates for self-governance. He says that this was in part thanks to the education and interaction offered by EECMD’s Democracy School, which opened him up to diverse opinions and different techniques for maintaining peace between them. As Democracy Leader for 2017, Archil will visit the main office of NIMD in The Hague, where he has been invited to speak at the Innovating Democracy conference. Archil will also be meeting with Georgian Ambassador Konstantine Surguladze, as well as with Project Managers and Directors from International IDEA and NIMD itself. “The title of ‘Democracy Leader’ is not only an award to me, but also a source of enhanced motivation and increased responsibility.” remarked Archil. “I would like to thank the team, the majority of whom are Democracy School alumni; without them I would not receive this prize…No matter how my future unfolds, I will always remain a vocal supporter of the Democracy School and do everything in my power to translate the democracy school values…into practice”. The Democracy Schools bring together established politicians and aspiring political leaders from all corners of the political spectrum, as well as community and civic leaders. Through specially designed courses, Democracy Schools promote constructive dialogue and political cooperation in the name of finding shared democratic solutions. Operating in over 21 countries, Democracy Schools are built to enhance political participation, increase diversity in politics and promote peace in conflict-affected nations. NIMD has enacted projects in Georgia since 2010, where we have facilitated dialogue, strengthened party capacity and promoted democratic culture. For more information about our work here, visit the EECMD website. the NIMD website or contact us directly.